Antique and minimal. 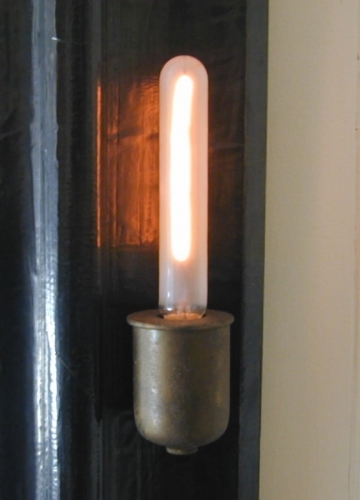 Weathered brass with bare tubular bulb. Shown here as mounted onto a mirror frame. When wall mounted, a 4" dia. wall plate is provided.